Cronyn was the first Elmwood School boarder in Ottawa (at the time Elmwood was called Rockliffe Preparatory School) and boarded at Elmwood between 1917 and 1921. After leaving Elmwood, Cronyn went to Ridley College in St. Catharines, and McGill University in Montreal, where he became a member of The Kappa Alpha Society. Early in life, Cronyn was an amateur featherweight boxer, having the skills to be nominated for Canada's 1932 Olympic Boxing team. Cronyn's first marriage was to the philanthropist Emily Woodruff in late 1934 or early 1935. They shared a "lavender marriage," and never lived together. Woodruff insisted that the marriage remain a secret because of her lesbian relationships. They quietly divorced in 1936. 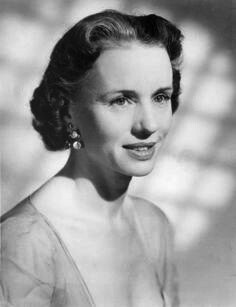 Cronyn married the actress Jessica Tandy in 1942, and appeared with her in many of their more memorable dramatic stage, film and television outings, including The Green Years (1946), The Seventh Cross (1944), The Gin Game (1977), Foxfire (1982), Cocoon (1985), *batteries not included (1987), Cocoon: The Return (1988), and Camilla (1994). After he was widowed, Cronyn married author/playwright Susan Cooper (with whom he had co-written Foxfire) in July 1996. His 1991 autobiography was titled A Terrible Liar (ISBN 0-688-12844-0). He died on June 15, 2003 from prostate cancer, one month before his 92nd birthday. In 1979, Cronyn was inducted into the American Theater Hall of Fame. On July 11, 1988 he was appointed as an Officer of the Order of Canada, giving him the Post Nominal Letters "OC" for Life. ^ "Hume Cronyn". Internet Broadway Database. Retrieved November 28, 2012. ^ Fairfield, Connecticut (June 18, 2003). "Hume Cronyn dead aged 91". The Age. Melbourne. Retrieved 2010-11-07. ^ "Lifetime Honors: National Medal of Arts". Archived from the original on March 4, 2010. Retrieved November 28, 2012. ^ The Complete Directory to Prime Time Network and Cable TV Shows, 1946–Present. Ballantine Books. 2013. p. 1440. ISBN 0-345-45542-8. ^ "Hume Cronyn - Internet Accuracy Project". accuracyproject.org. Retrieved March 16, 2018. ^ Cronyn, Hume. 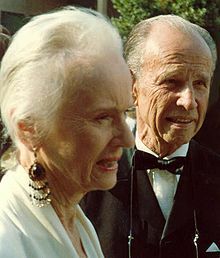 "Hume Cronyn and Jessica Tandy papers, 1885-2007". loc.gov. Retrieved March 16, 2018. ^ Cronyn, Hume (1991). Terrible Liar. New York: William Morrow and Company. pp. 254–256. ISBN 0688128440. ^ and, Mel Gussow. "AT HOME WITH: Hume Cronyn and Jessica Tandy; The Driven Mr. and Mrs. Daisy". nytimes.com. Retrieved March 16, 2018. ^ "Overview for Hume Cronyn". Tcm.com. Retrieved 2016-08-27. ^ "American Theatre Hall of Fame official website". Theater Hall of Fame. November 23, 2015. Retrieved 2016-08-27. ^ "The Governor General of Canada Find a Recipient". Gg.ca. Retrieved 2016-08-27. ^ "Canada's Walk of Fame—Hume Cronyn". Archived from the original on July 31, 2013. Retrieved November 28, 2012. ^ "Hume Cronyn profile". Canadaswalkoffame.com. Retrieved 2016-08-27. ^ "The Governor General of Canada > Find a Recipient". Gg.ca. Retrieved 2016-08-27. ^ "The University of Western Ontario: Honorary Degrees Awarded, 1881–present" (PDF). Uwo.ca. Retrieved 2016-08-27. ^ "Suspense". Harrisburg Telegraph. November 9, 1946. p. 19. Retrieved September 15, 2015 – via Newspapers.com. Susan Mary Cooper is an English author of children's books. She is best known for The Dark Is Rising, a contemporary fantasy series set in England and Wales, which incorporates British mythology, such as the Arthurian legends, and Welsh folk heroes. For that work, in 2012 she won the lifetime Margaret A. Edwards Award from the American Library Association, recognizing her contribution to writing for teens. In the 1970s two of the five novels were named the year's best English-language book with an "authentic Welsh background" by the Welsh Books Council. 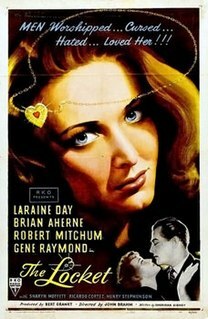 The Locket is a 1946 film noir directed by John Brahm, starring Laraine Day, Brian Aherne, Robert Mitchum, and Gene Raymond, and released by RKO Pictures. The film is based on a screenplay by Sheridan Gibney, adapted from "What Nancy Wanted" by Norma Barzman, wife of later-blacklisted writer Ben Barzman. It is noted for its complex use of layered flashbacks to give psychological depth to the narrative. The Seventh Cross is a 1944 drama film, set in Nazi Germany, starring Spencer Tracy as a prisoner who escaped from a concentration camp. The story chronicles how he interacts with ordinary Germans, and gradually sheds his cynical view of humanity. The Fourposter is a 1951 play written by Jan de Hartog. The two-character story spans thirty-five years, from 1890 to 1925, as it focuses on the trials and tribulations, laughters and sorrows, and hopes and disappointments experienced by Agnes and Michael throughout their marriage. The set consists solely of their bedroom, dominated by the large fourposter bed in the center of the room. Its simple set and small cast have made it a popular choice for amateur theatrical groups. Benjamin Cronyn was the first bishop of the Anglican Diocese of Huron. 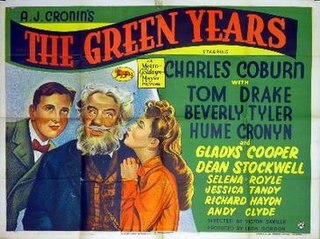 The Green Years is a 1946 American drama film featuring Charles Coburn, Tom Drake, Beverly Tyler and Hume Cronyn. 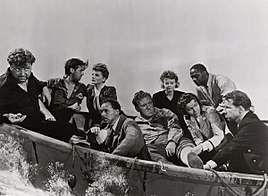 It was adapted by Robert Ardrey from A. J. Cronin's novel of the same name. It tells the story of the coming-of-age of an Irish orphan in Scotland and was directed by Victor Saville. Archer King was an American theatrical agent, producer and actor. 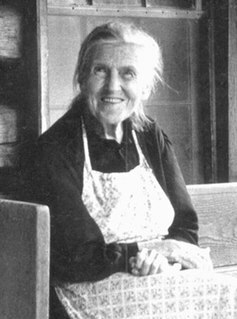 Aunt Arie Carpenter (1885-1978) was a resident of Macon County, North Carolina, in the Southern Appalachian Mountains. She was interviewed for the The Foxfire Book published in 1972, through which she became known to thousands of readers. High school students interviewed her and reproduced her stories and skills of living in the Foxfire oral history-based books.